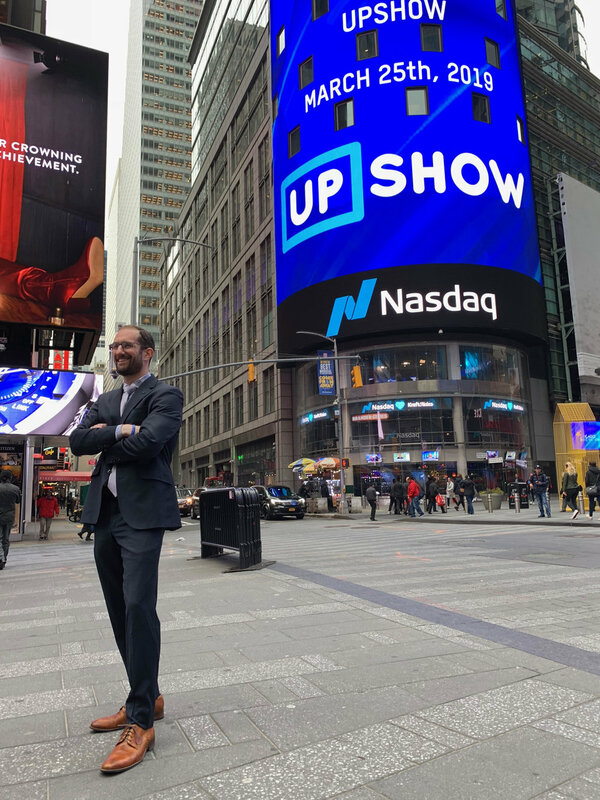 Yesterday UPshow co-founder and CEO Adam Hirsen traveled to New York to represent UPshow and ring the NASDAQ closing bell. While there, UPshow was recognized for its win at the 2018 Chicago Innovation Awards, and the company logo was displayed on the NASDAQ screen in Time Square for all to see. CEO Adam Hirsen rings the NASDAQ closing bell. The UPshow logo displayed proudly in Time Square. Photography by Libby Greene/Nasdaq, Inc.